In this second post, we look at how we define a competency architecture and all of its components. 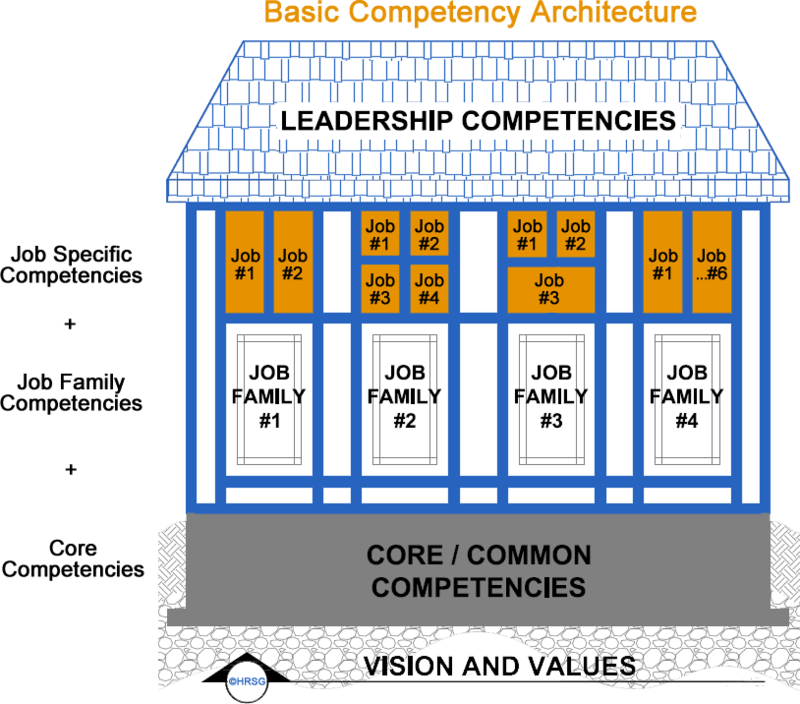 A competency architecture describes the common rules for defining competencies within an organization. It includes the guiding principles that describe how the profiles will be designed for the entire organization - e.g., the format for displaying the competency profile, content for the profile (behavioural / technical / professional competencies), core vs. unique competencies, etc. These are the key competencies for roles in an organization that involve managing, supervising or influencing the work of others in some way. Some organizations view "leadership" to be a part of every job of the organization in that employees are expected to contribute and offer new or better ways of working regardless of their level or role in the organization. Leadership is required in teams, project management, as well as at the managerial, executive and board levels.